A good few years back, a mixed nationality group of tourists, including yours truly, were slowly making our way across Italy. There were a few Australians in the party - they were mainly beer-drinkers (stubbies rather than stickies) but included one winemaker - and their conversation regularly featured the word Barolo. It seemed like a holy grail to them. Later I would find out why! Perhaps they also mentioned Amarone but I can't recall. 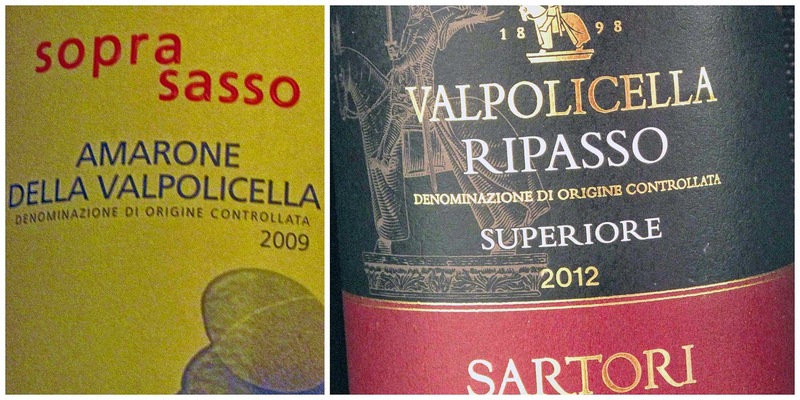 These two wines from the north of Italy are well worth getting to know! Nebbiolo is regarded as native to the Piedmont region and produces some of Italy's “most uniquely perfumed and powerful reds”. 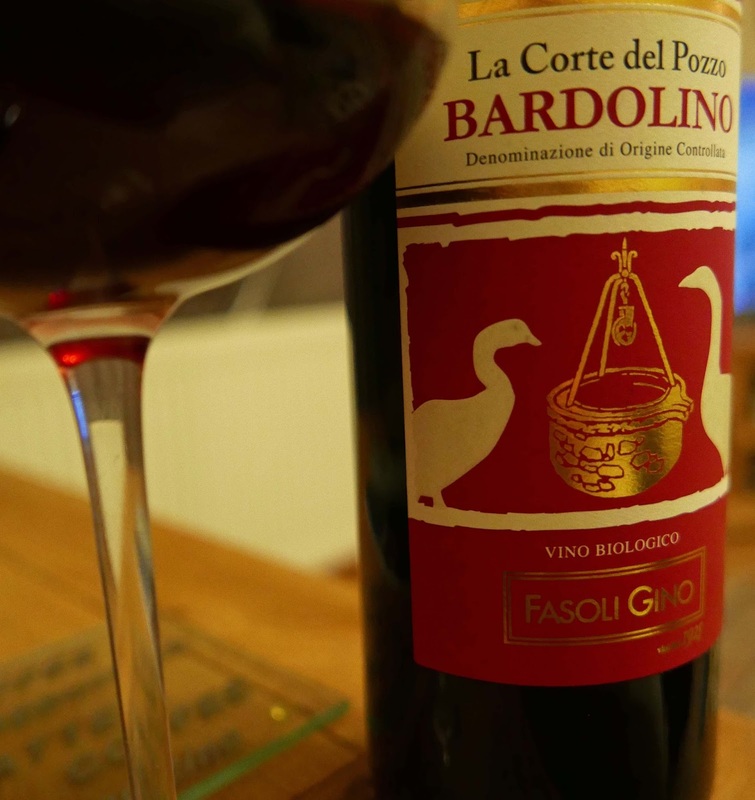 Since early days, one of those wines, Barolo, was referred to as the “king of wines, the wine of kings”. This La Morra is a right royal example. It comes from a prestigious and historical cru. The winemaking is “fairly” traditional. The 100 per cent Nebbiolo is aged 18 months in 25 hl Slavonian oak casks (useful for stabilising and harmonising) and then 6 months in steel vats before bottling. 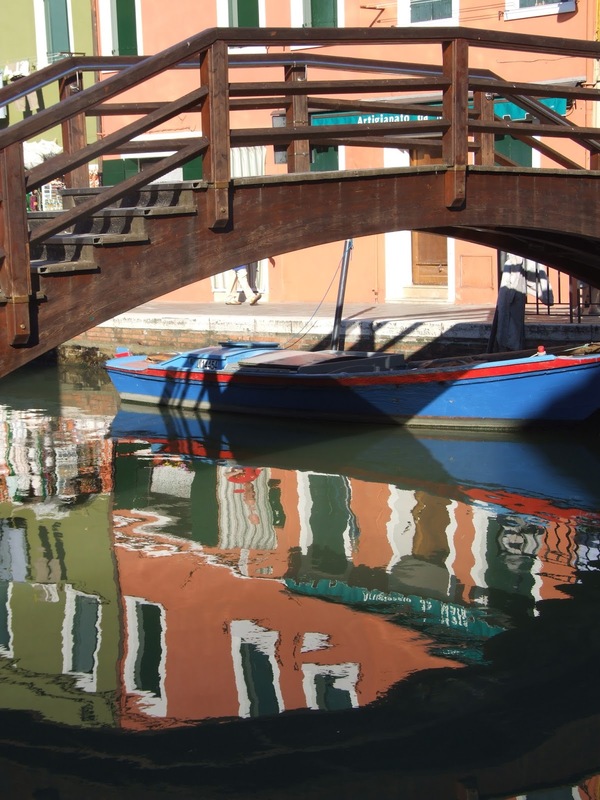 According to Vino Italiano: “…. the top wines in the DOCG are said to hail from the communes of Monteforte d’Alba, Serralunga d’Alba, Castiglione Falletto, Barolo and La Morra.” The hilly land concerned lies generally to the south-west of Alba and much of it is a protected World Heritage site since 2014. This gorgeous light red wine has aromas of blackberry in Autumn, gentle hints of cherry too, plus floral notes. On the palate it is smooth round and rich, some spice too. Concentrated and elegant, perfumed and powerful. The excellent acidity heralds a long, fresh finish, a finish as satisfying as all that goes before. Very Highly Recommended. 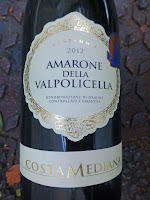 Amarone, some of you will know, is a style, not a grape and the style was developed in the area of Valpolicella where local wine-makers searched for a way to increase the body, complexity and alcohol content of their wines, made generally from Corvina, Rondinella and Molinara fruits. 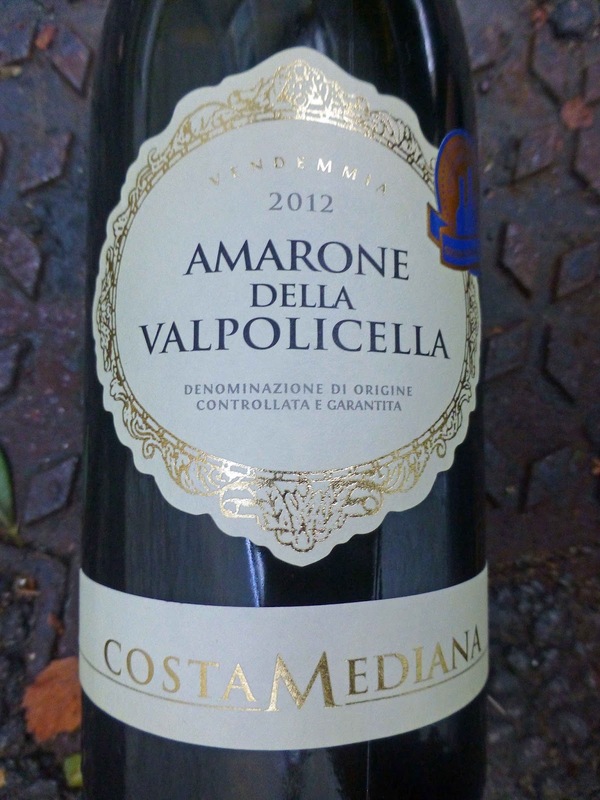 Amarone della Valpolicella is an intensely flavoured dry red wine made from dried grapes. 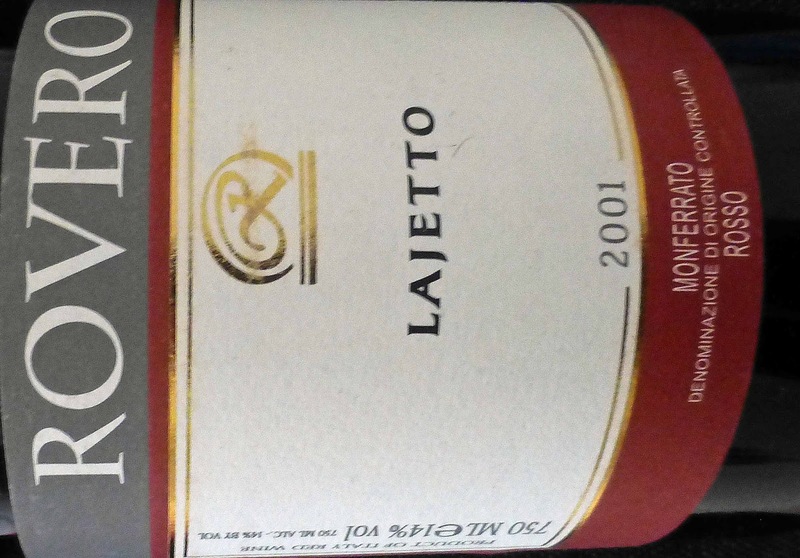 Righetti may not always feature in the lists of top wine-makers here but his is a good one; you may take a certain confidence from the G in the DOCG. Colour is a deep ruby red. The complex nose features oodles of dried red fruit. It is rich and dry with concentrated flavour - the alcohol is also high; some spice too and a noticeable tartness, all characteristics carried through to the finalé. Very enjoyable wine and Very Highly Recommended. The first three wines are all "related" in the sense that they come from the same three grapes: Corvina, Rondinella and Molinara. All four wines come from the north of Italy. 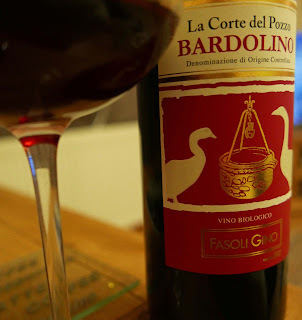 Bardolino is the lightweight sibling of Valpolicella (made from the same three grapes: Corvina, Rondinella and Molinara). The wine is named after the village on the shore of Lake Garda. If you know the village - quite a few Irish holiday here - you probably know the wine type. Ruby is the colour, light and bright. A hint of rose in the colour and also in the aromas, a mixture of fruity and floral. And the same elements continue to combine to deliver a good and harmonious result in the mouth. A lightweight perhaps but a rather delicious one and Highly Recommended. It is an organic wine and the grapes are cultivated by members of the Associazione Cumunita’ dei Giovani, young adults with special needs. 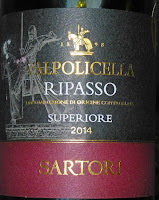 See review of the Gino Valpolicella from last July here. This is a blend of Corvina Veronese, Corvinone, Rondinella, Molinara from the Valpolicella area of Veneto in the North East of Italy. It is “good at the table” and they recommend trying it with red meat, mature cheese. Serve between 14 – 16 °C. 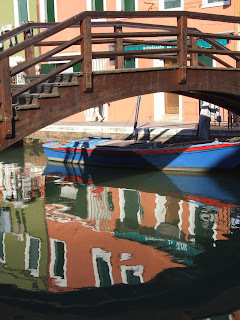 For centuries, Veneto winemakers have used various techniques to improve the depth and complexity of their wines. Ripasso is one method and you may see the full details here. 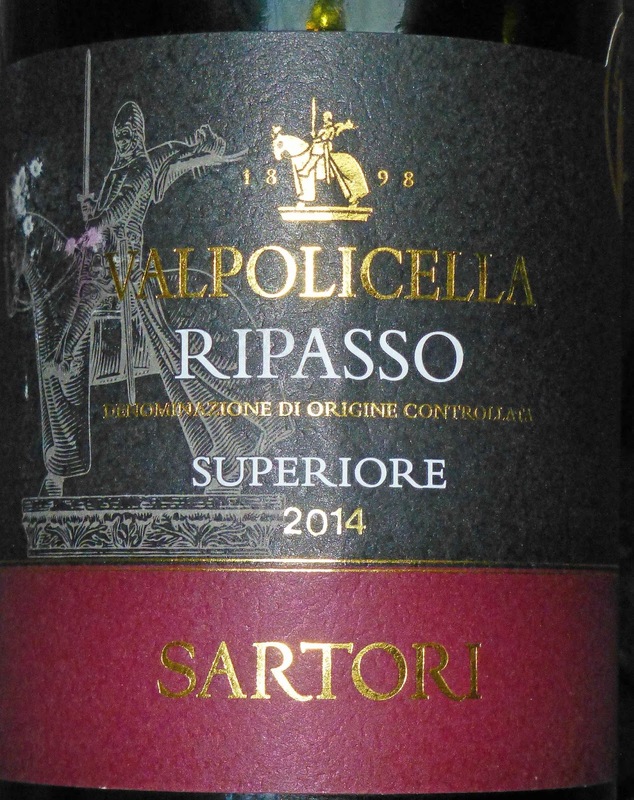 This Sartori is made from a blend of local grapes and Corvina is the main one with Rondinella and Molinara also in the mix. Aromas from this ruby red wine are of fragrant cherry, intense and persistent. On the palate, it is fruity and spicy, lively and delicious, sweet notes too, and then a long dry finish. Medium bodied and easy drinking it is Recommended. This 100% Pinot Nero has spent 12 months in French oak and a hell of a lot longer in the bottle. So be sure and decant this Italian and let it hang for a few hours. The 15 year old will be all the better for it. 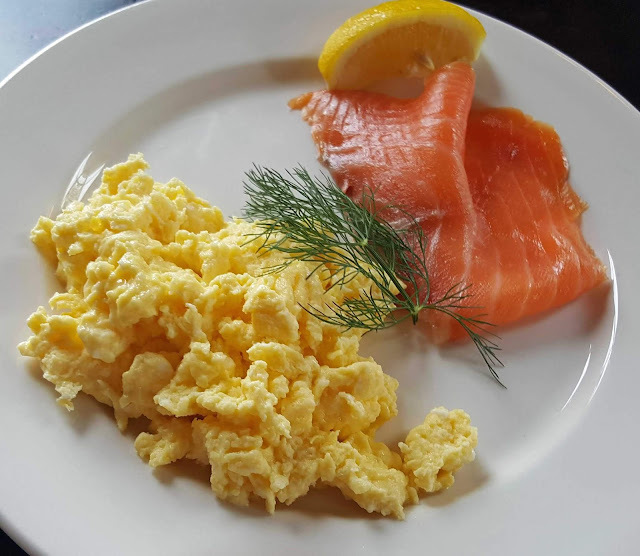 It will look brighter, feel fresher and taste better. Colour is a dark red, the rim a shade lighter. Dark and moderate fruit aromas are followed by a well-rounded palate; tannins are fine at this stage and the finish is long and dry, not bad at all for an old fellow. Not too sure it is worth waiting for all this time but it is certainly a very pleasant and decent wine and Highly Recommended.